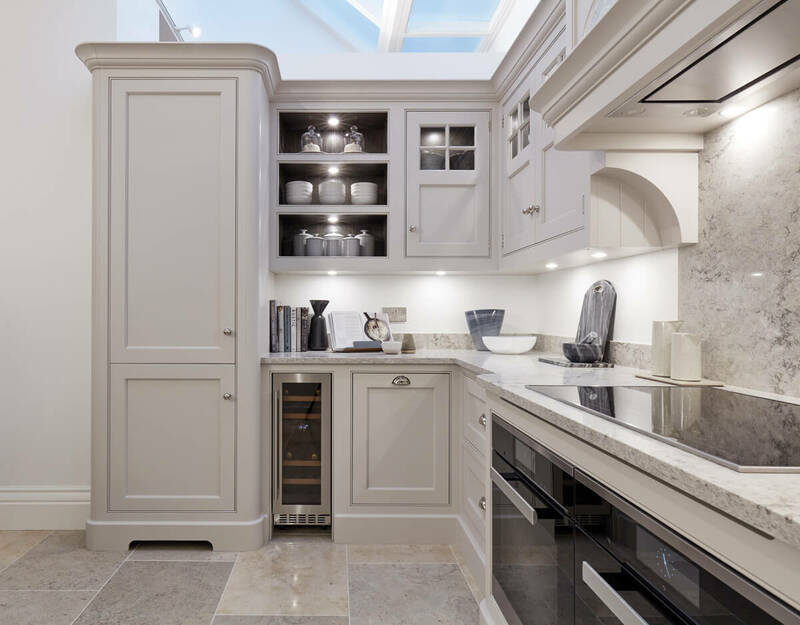 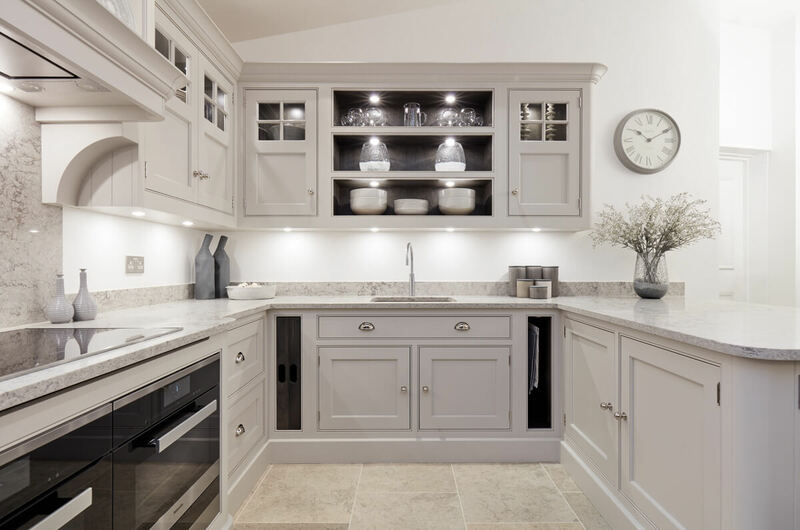 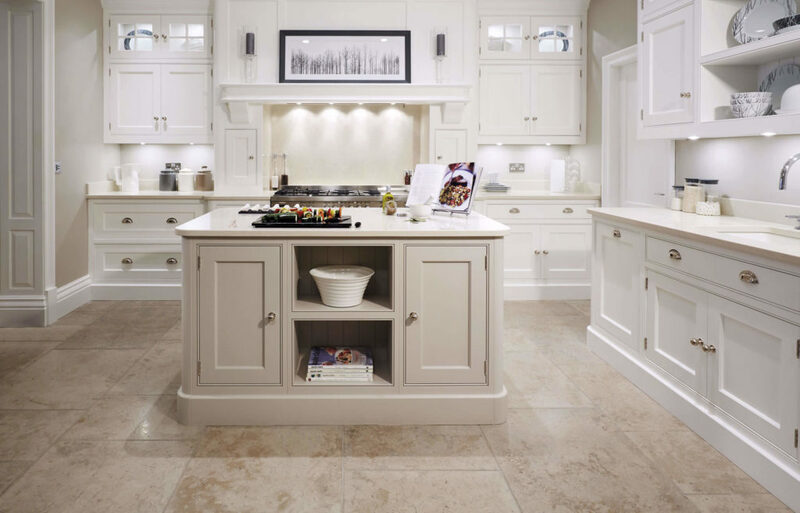 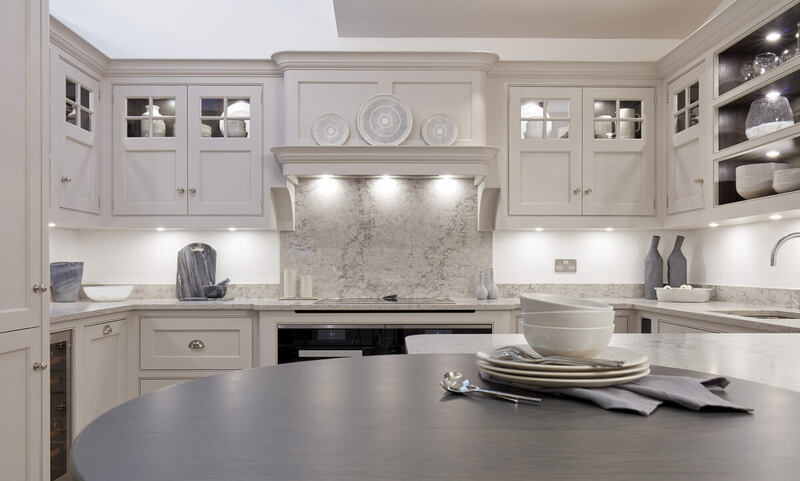 Our light grey Open Plan kitchen brings a traditional design into the modern age. 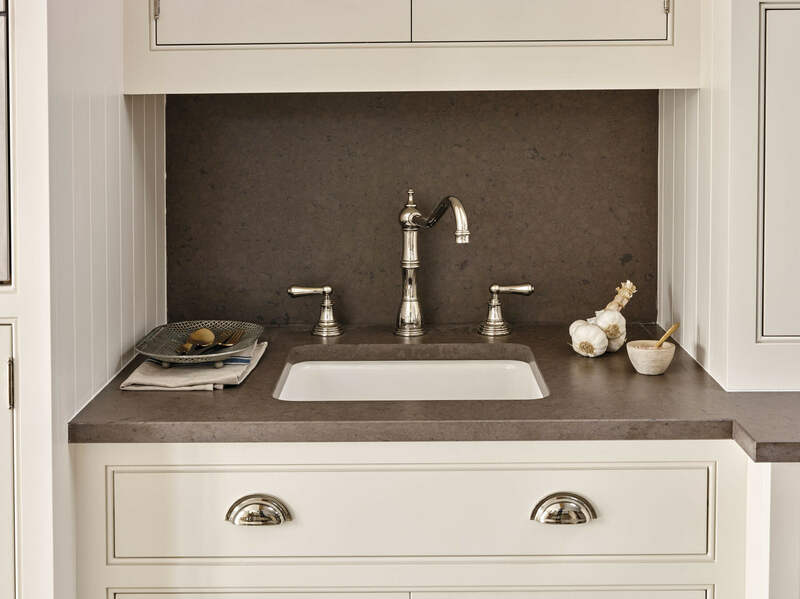 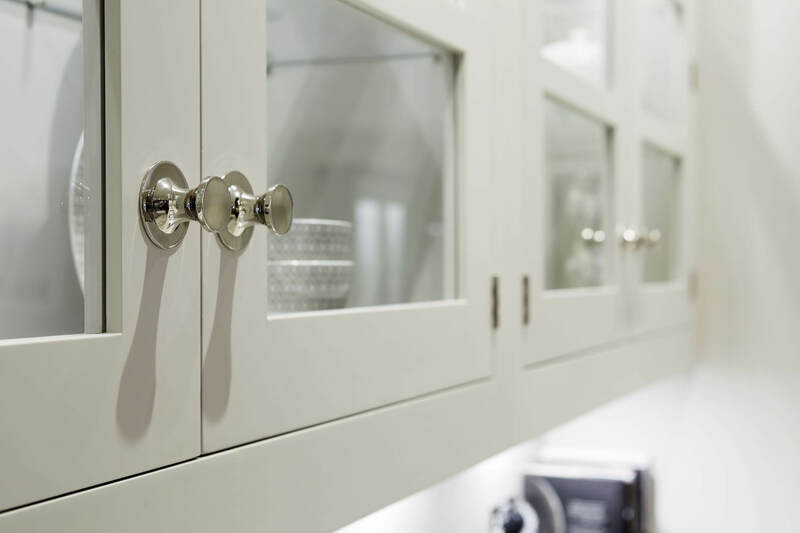 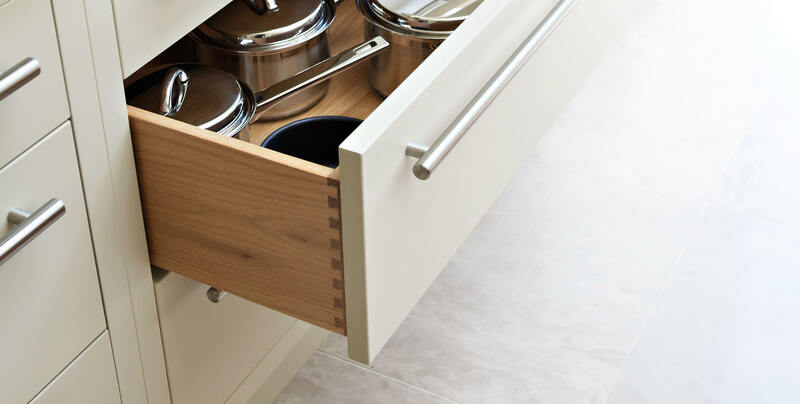 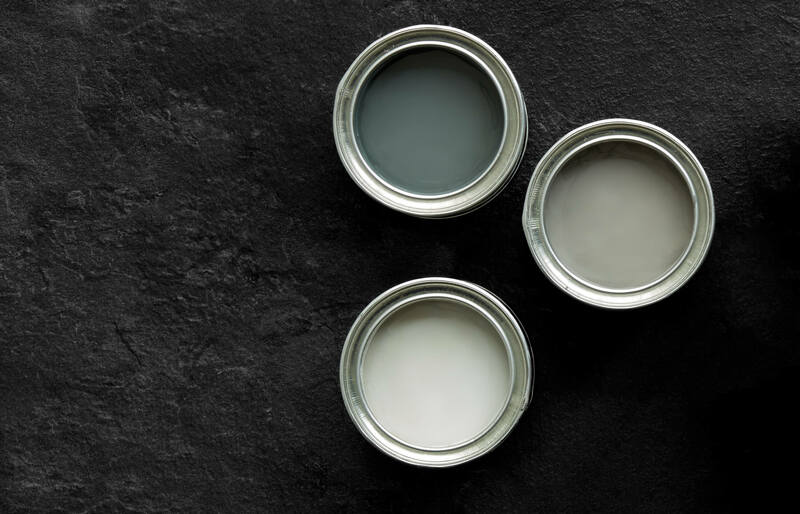 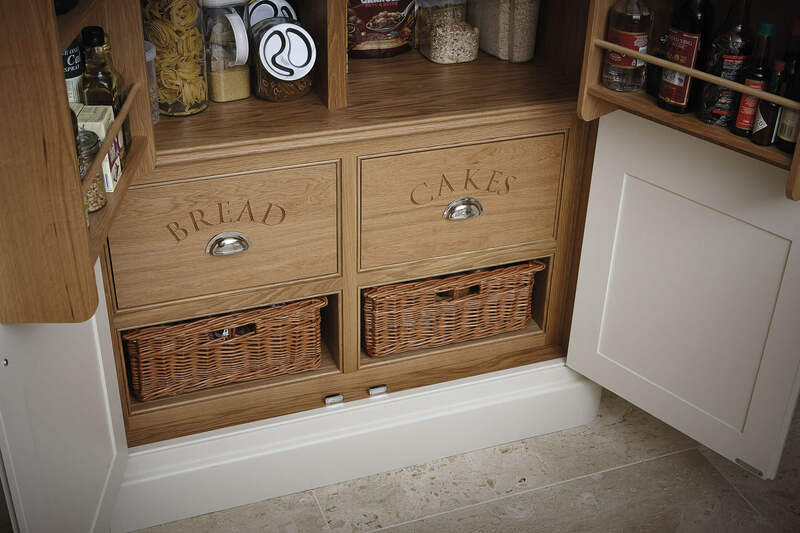 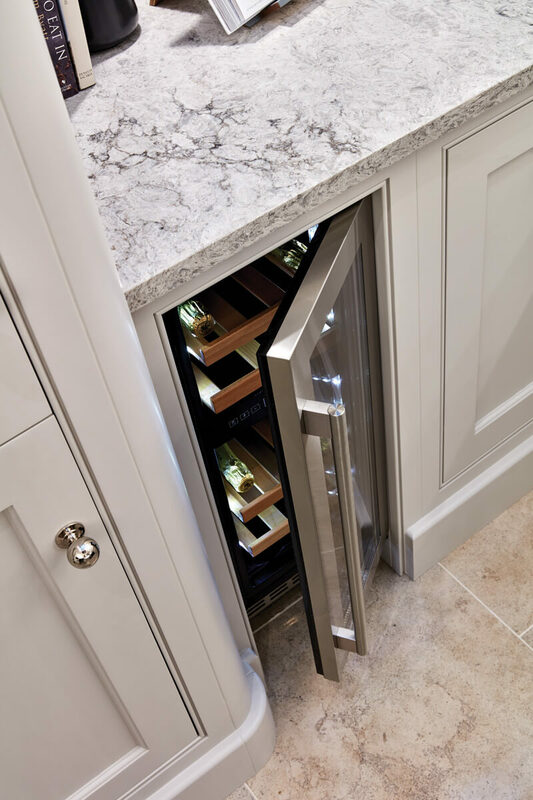 The bespoke, hand-painted cabinetry with carefully crafted curves gives the impression of lightness. 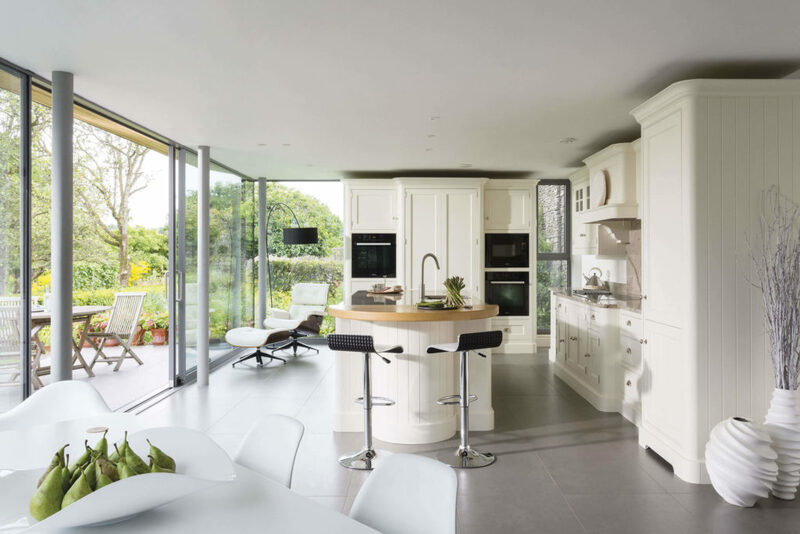 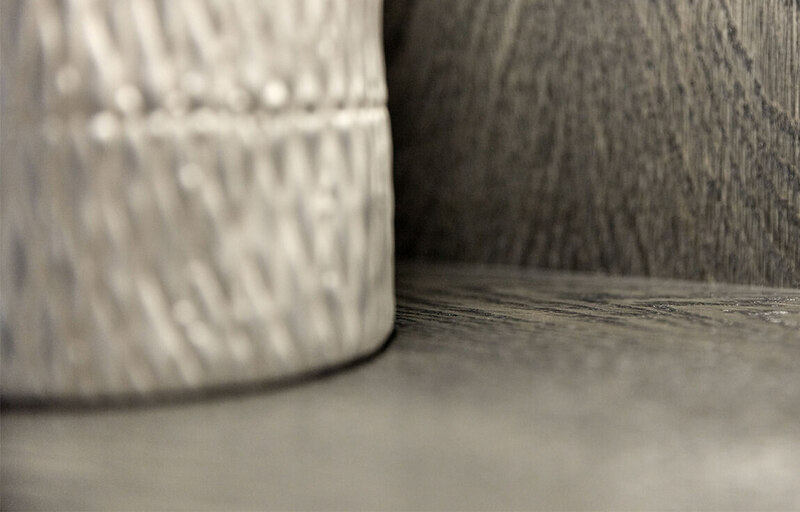 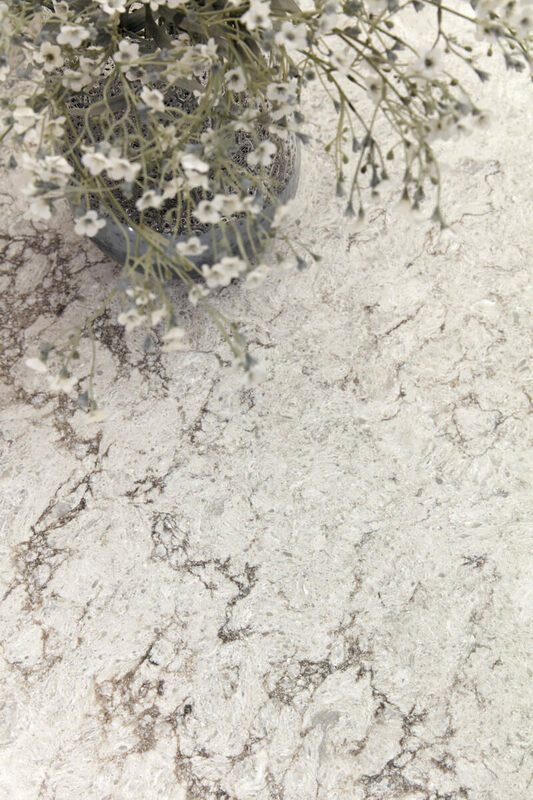 This elegant design technique combined with a soft, contemporary colour scheme, encourages the natural movement of light throughout the room. 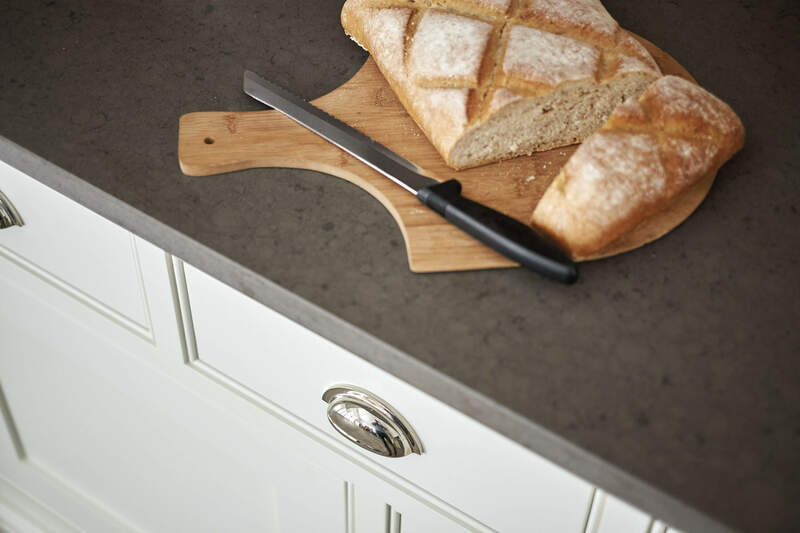 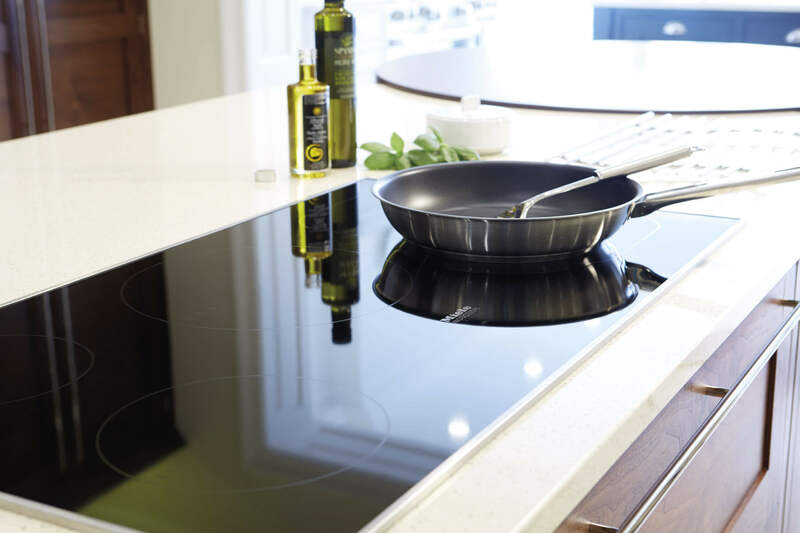 Beautiful worktops flow seamlessly in a subtle ‘U’ shape from cooking area to island providing plenty of space to prepare food. 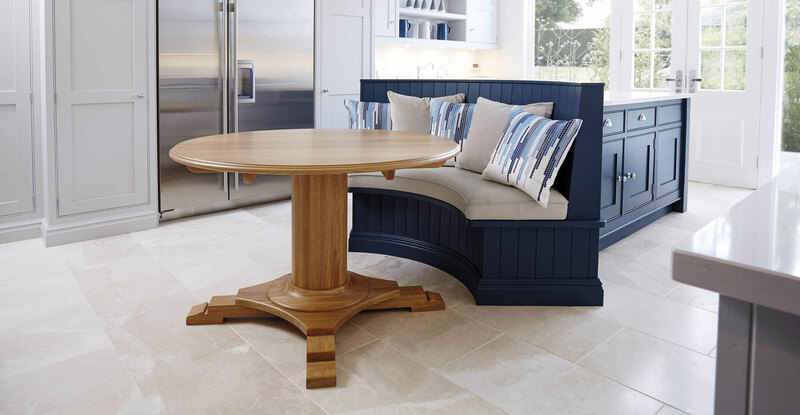 A curved breakfast table separates dining space from work space in a contemporary manner that is a signature of Tom Howley design. 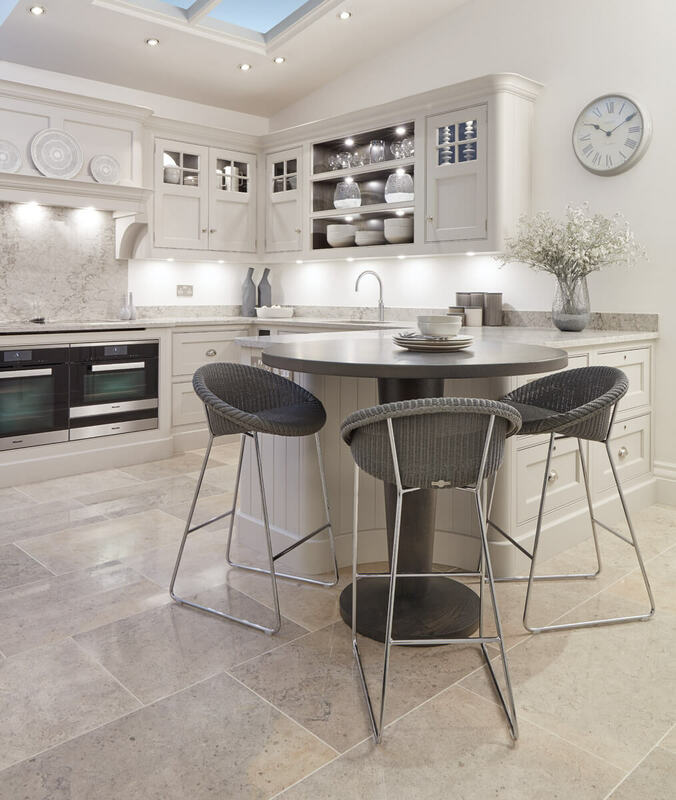 Distinctively understated, the curved breakfast table is a well-considered addition to the kitchen island. 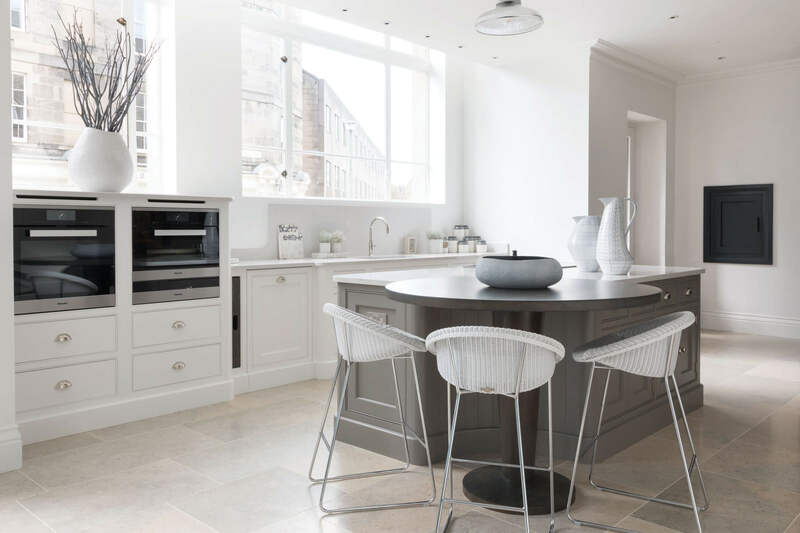 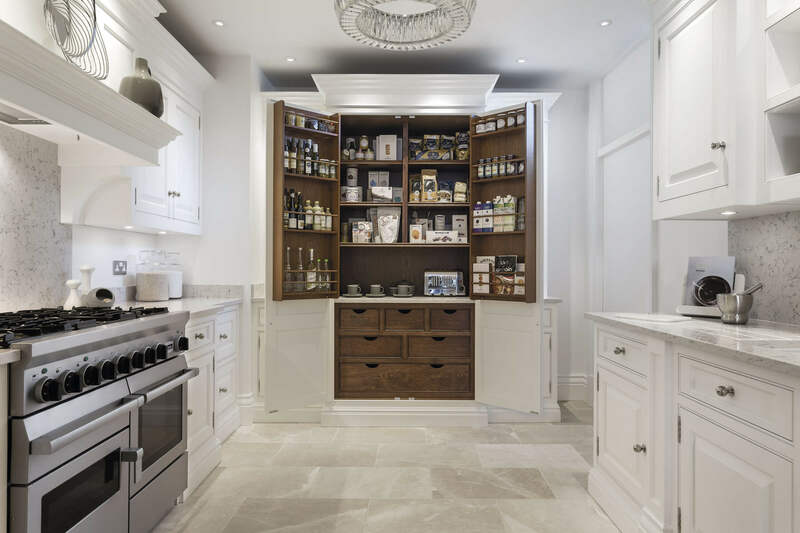 It offers a relaxed dining space and sociable seating for family and friends while providing a clear and interesting distinction from the rest of the kitchen’s surfaces and gives the island defined zones. 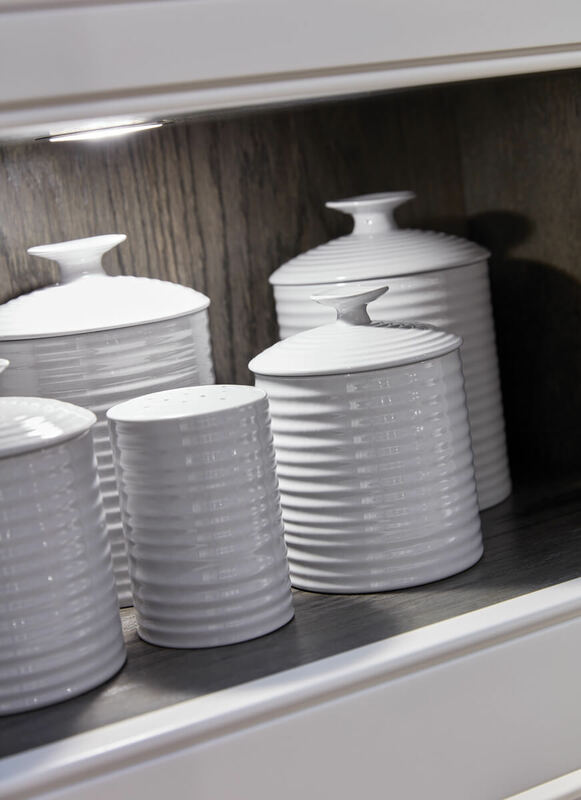 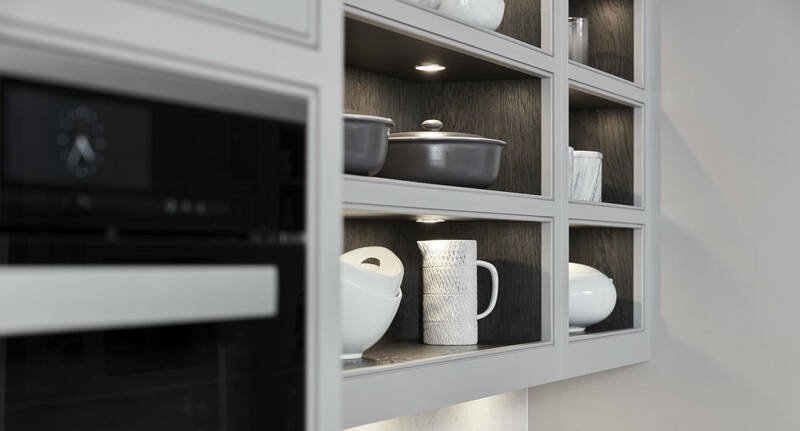 Beautifully positioned shelves above the work space provide the perfect opportunity to display glassware, pottery and sculpture to enhance the kitchen; maximising every inch of wall space and making it a place of beauty as well as functionality. 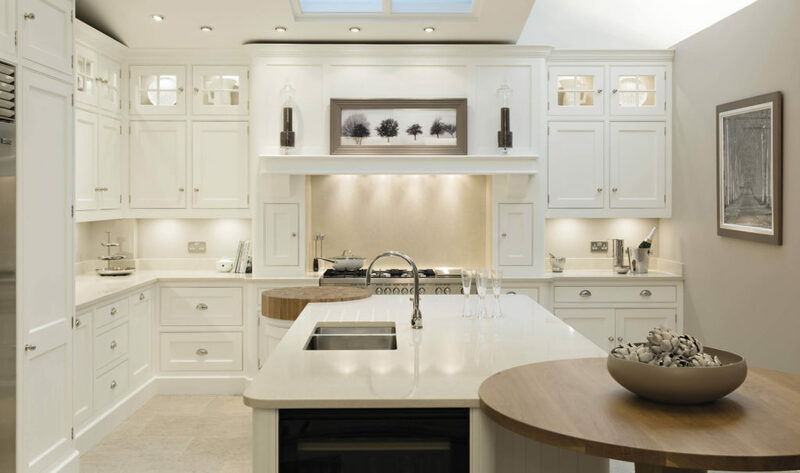 The recessed spotlighting gently illuminates each individual space, giving the room an ambient atmosphere and a soft glow to dine by. 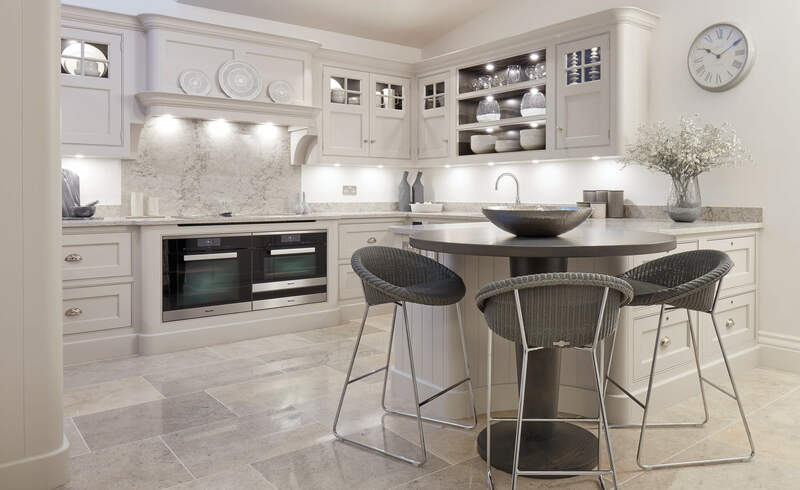 This design is ideal for open plan spaces – the soft, light colours, the use of open shelving, the positioning of the spotlights and the curved cabinetry create a welcoming comfortable room in which to dine and socialise.